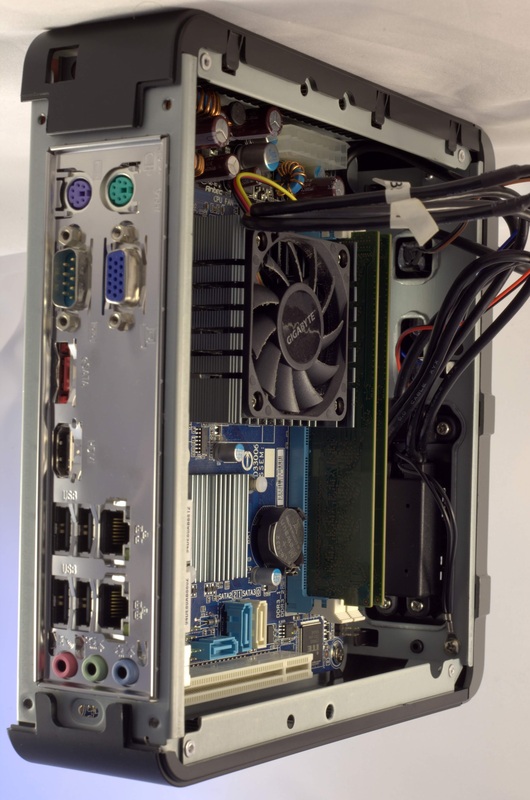 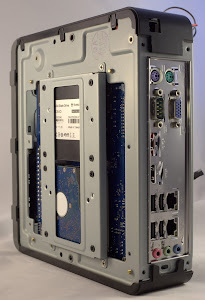 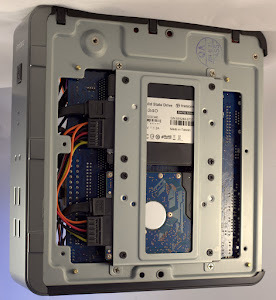 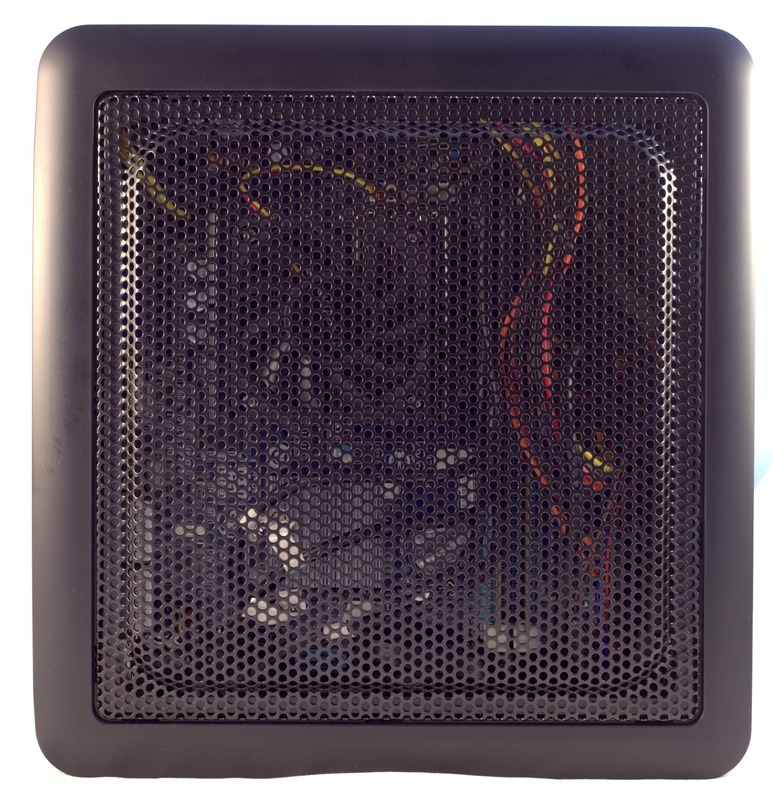 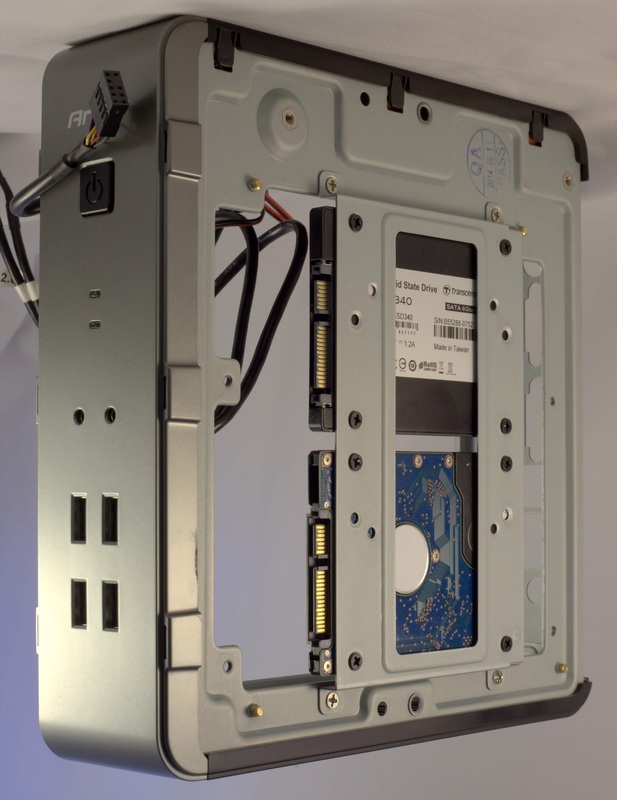 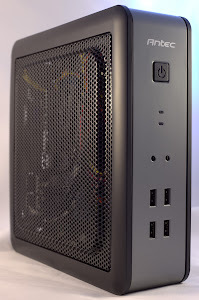 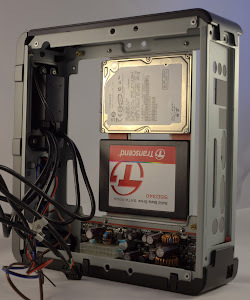 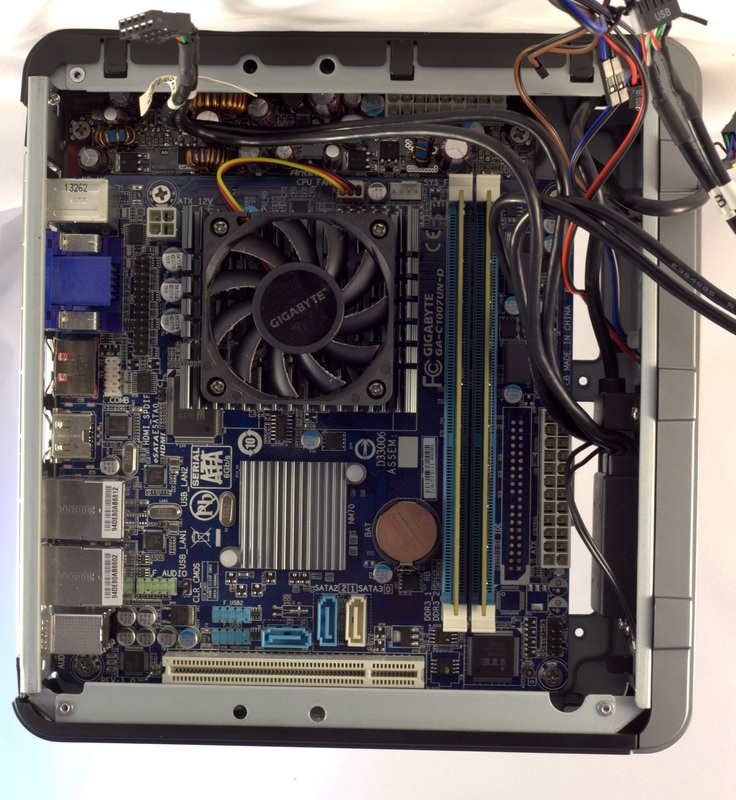 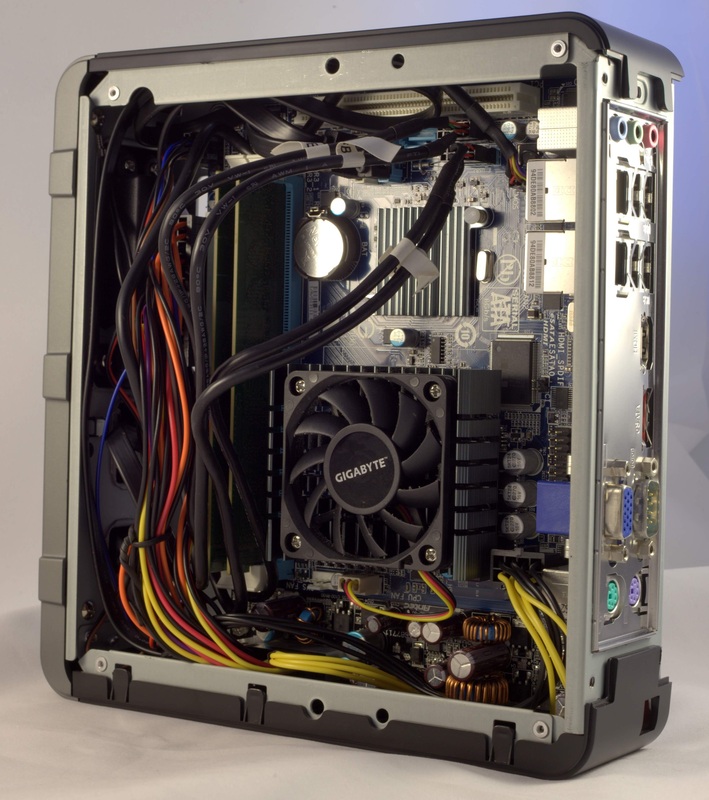 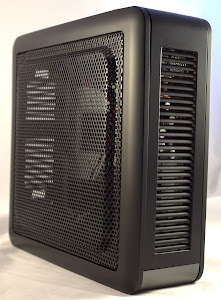 Antec 25 ISK 110 VESA is a compact, quite and cool Mini-ITX case. It comes with a highly efficient external brick power adapter. 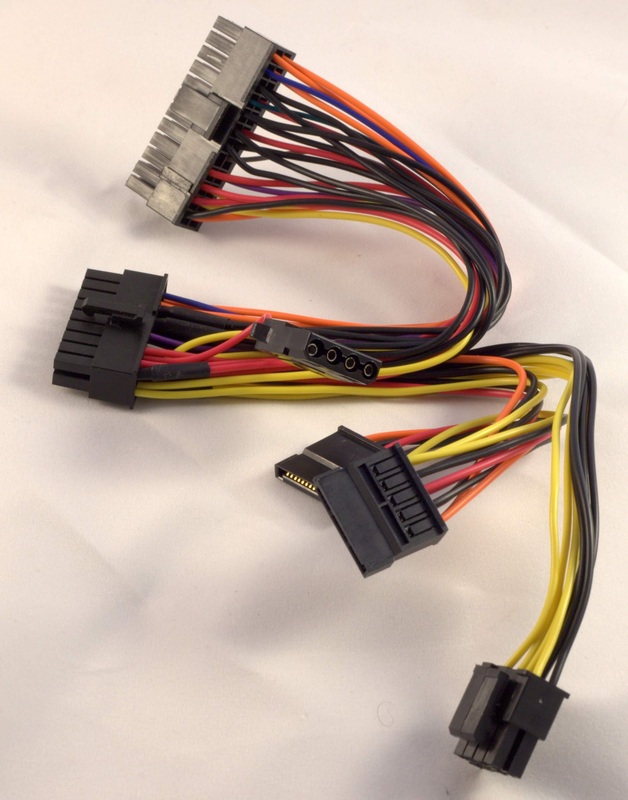 This eliminates any heat and noise typically created by an internal power supply. 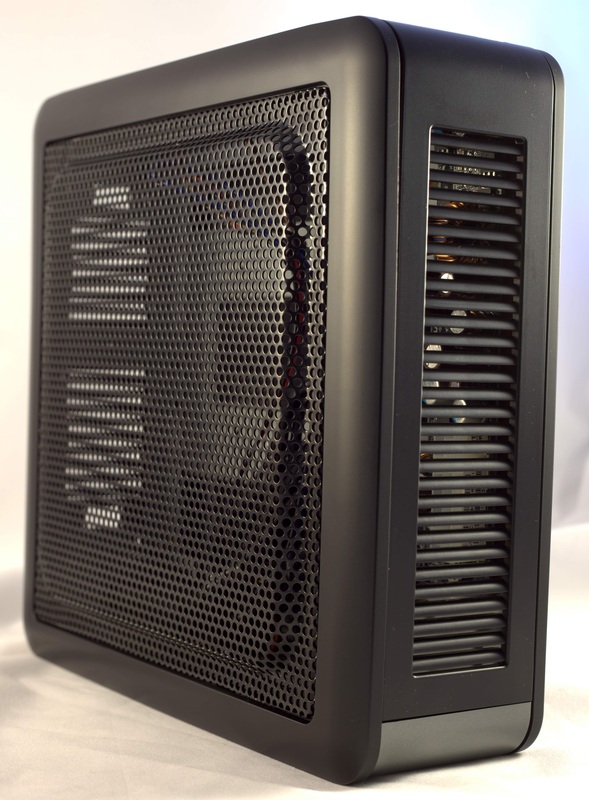 ISK 110 is a very compact case. 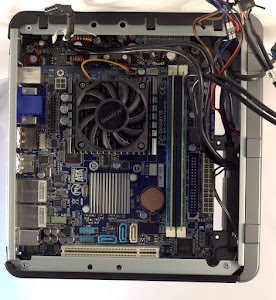 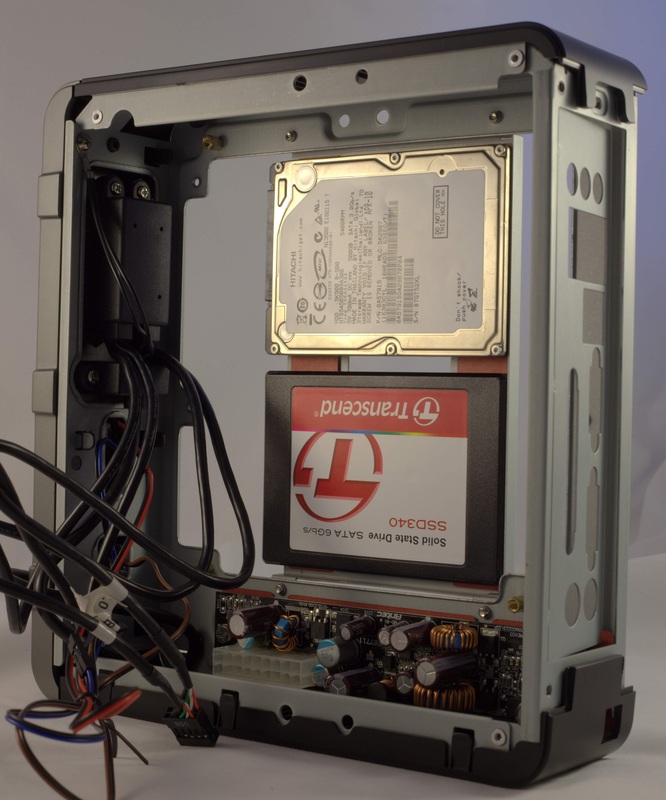 There is only room for a motherboard and two 2.5″ drives. 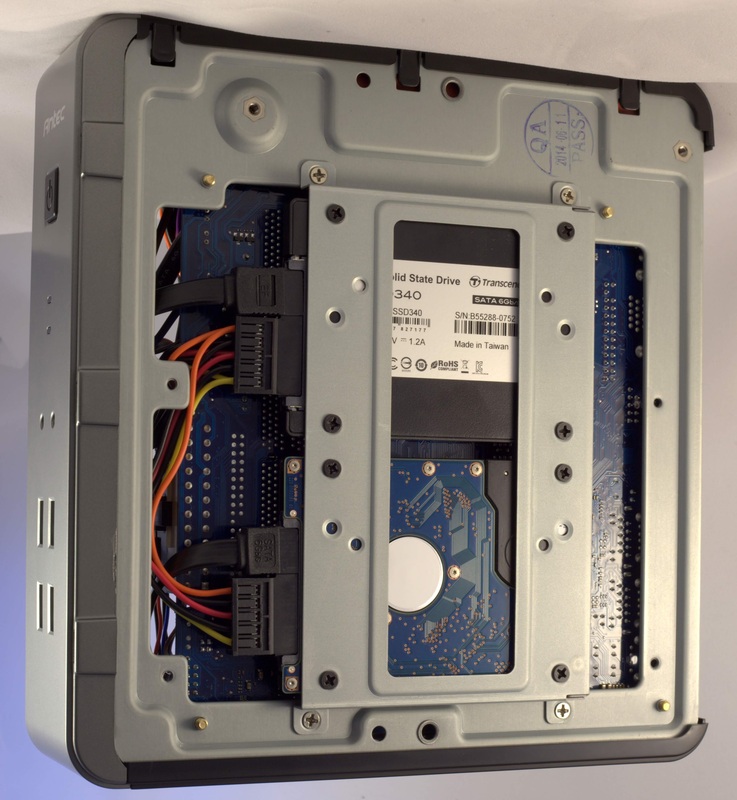 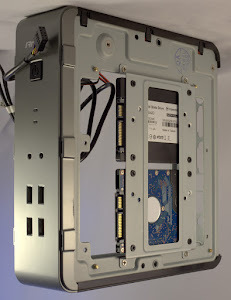 Hard drives are mounted behind the mother board. 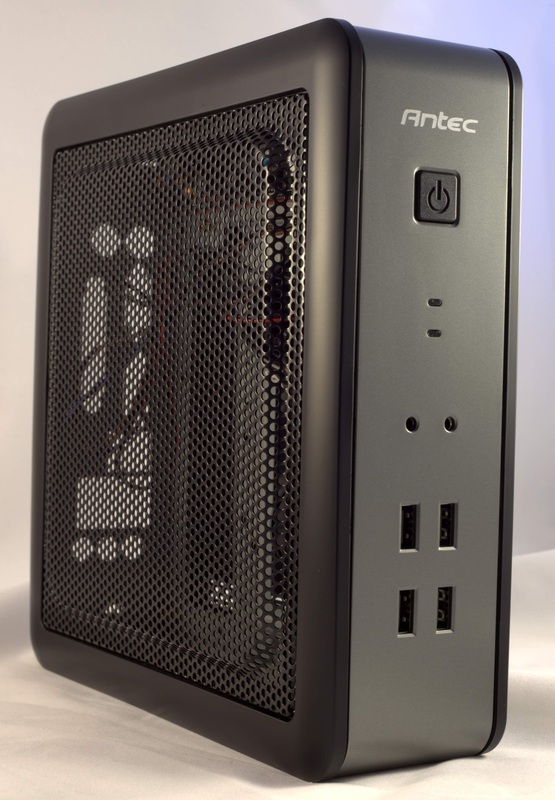 There are four USB ports, mic and a headphone connector on the front of the case. I used a Gigabyte GA-C1007UN-D motherboard for our setup along with a Transcend 128GB TS128GSSD340 SSD for the OS and Hitachi 500GB 5400 rpm hard drive for extra storage. 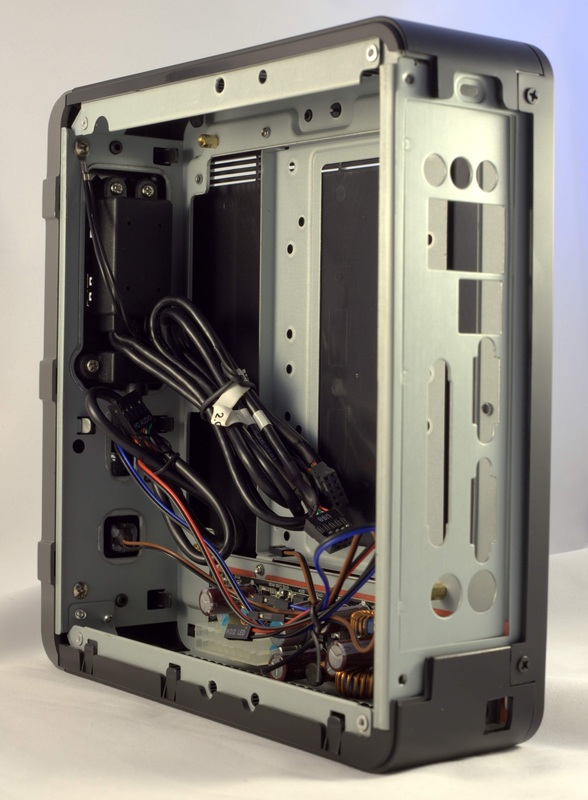 Installation was not too difficult, but because of the limited space inside the case cable could be a bit of a challenge. 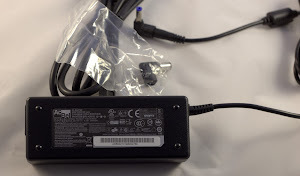 I was surprised to see that no documentation was included in the package. 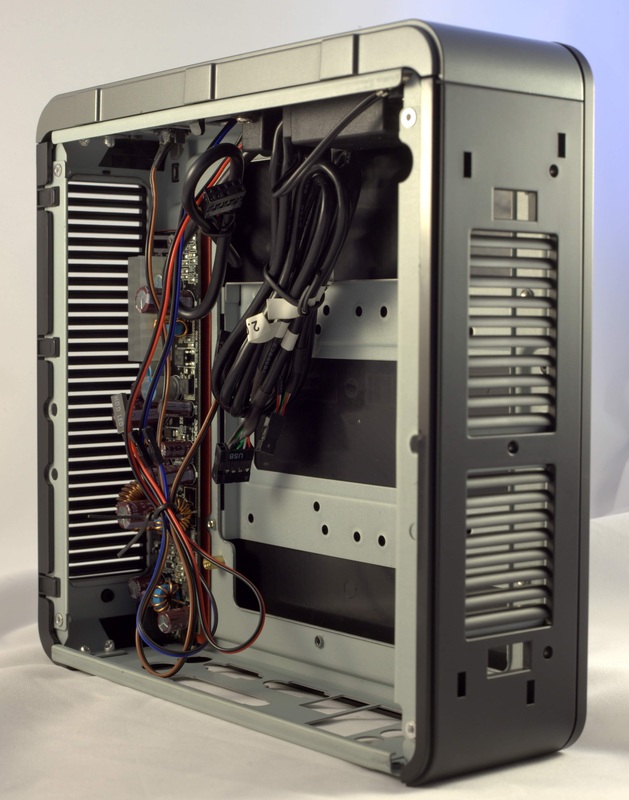 However, a user’s manual is available in PDF format on Antec’s website. 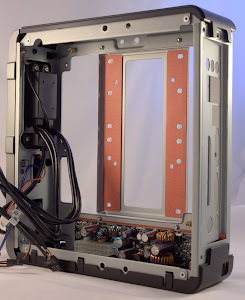 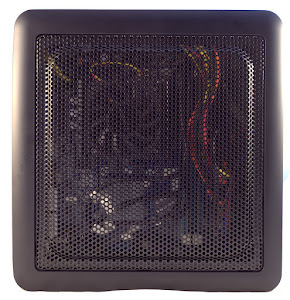 Antec offers two versions of this case: a VESA and a non-VESA version. 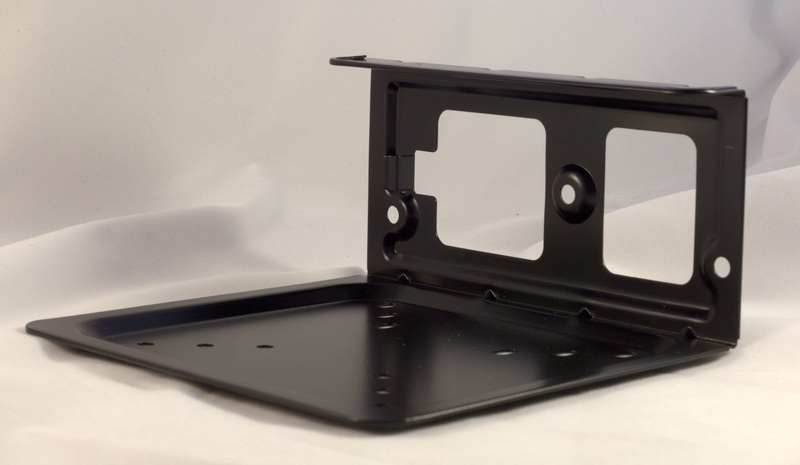 The VESA version, which is what we have, comes with a VESA bracket that can be used to mount the case to the back of a monitor or a TV. IF you choose not to utilize the VESA bracket, the package also includes a stand for the case which can be used to place the case vertically. 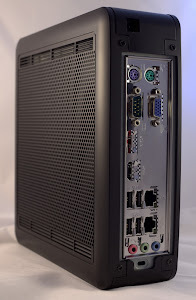 The case currently sits right next to my TV and it is used as a HTPC. 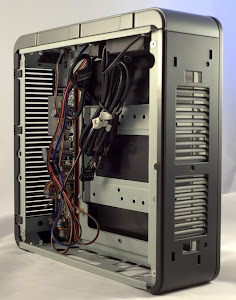 It is easy on the eyes, runs cool and quite. 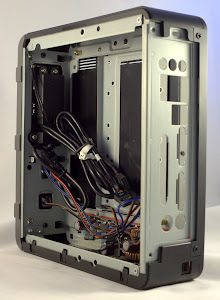 I am quite happy with it. 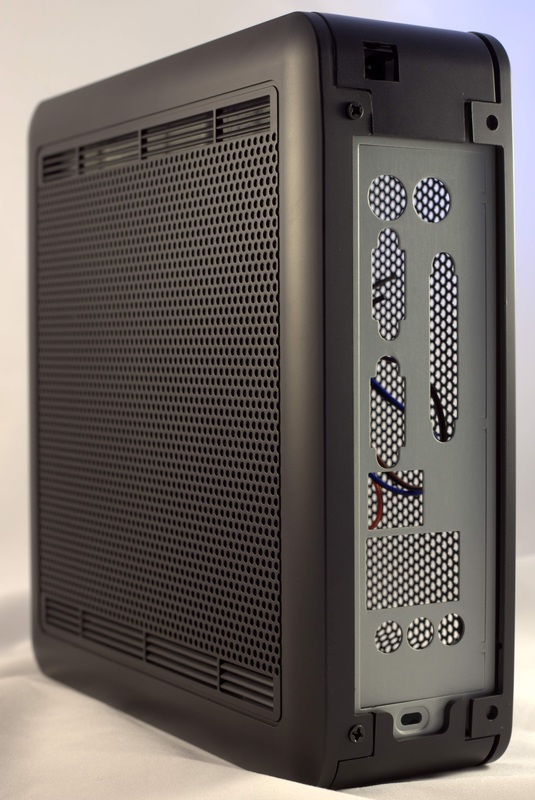 The only gripe I have is that the LED status lights on the front of the case failed on its second day of use. 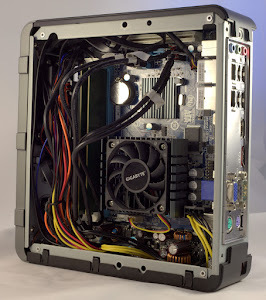 Despite this, I still recommend it.